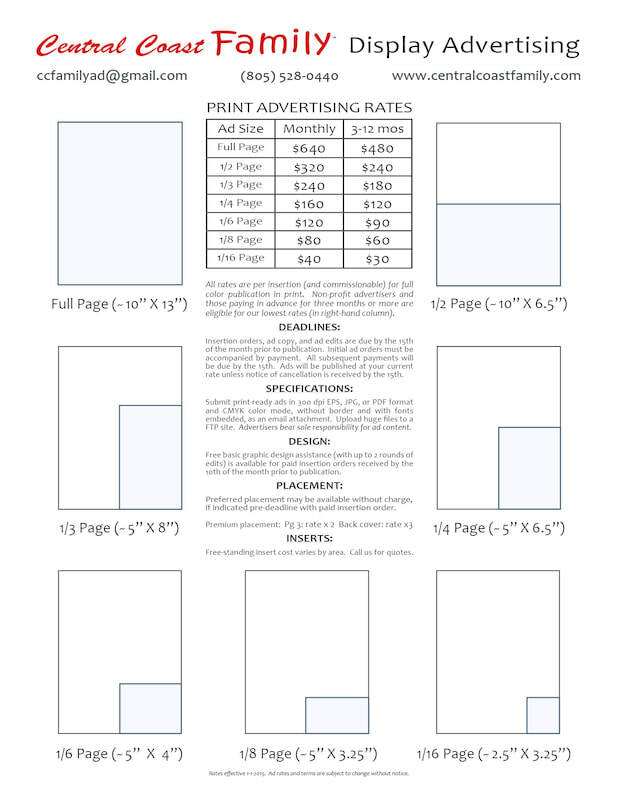 Click here for our standard Ad Rates and Specifications. 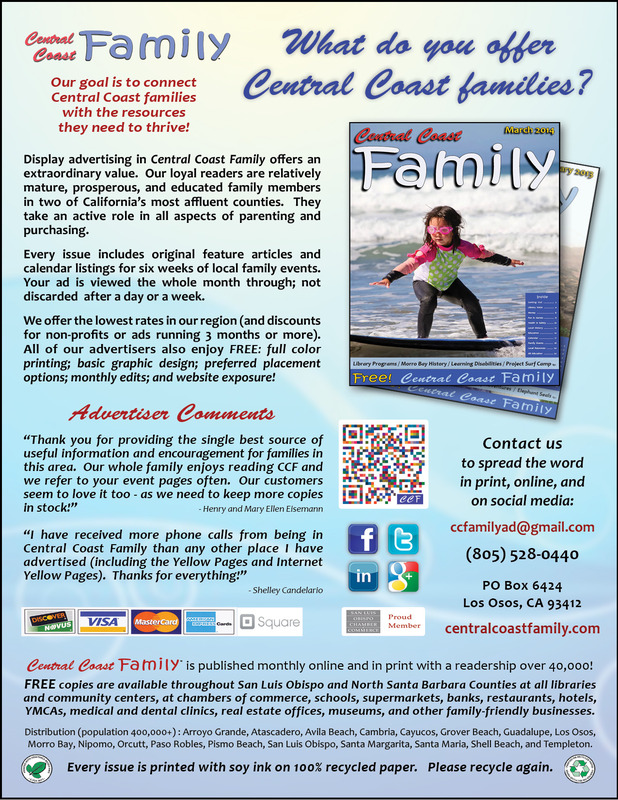 Reach out to Central Coast families! 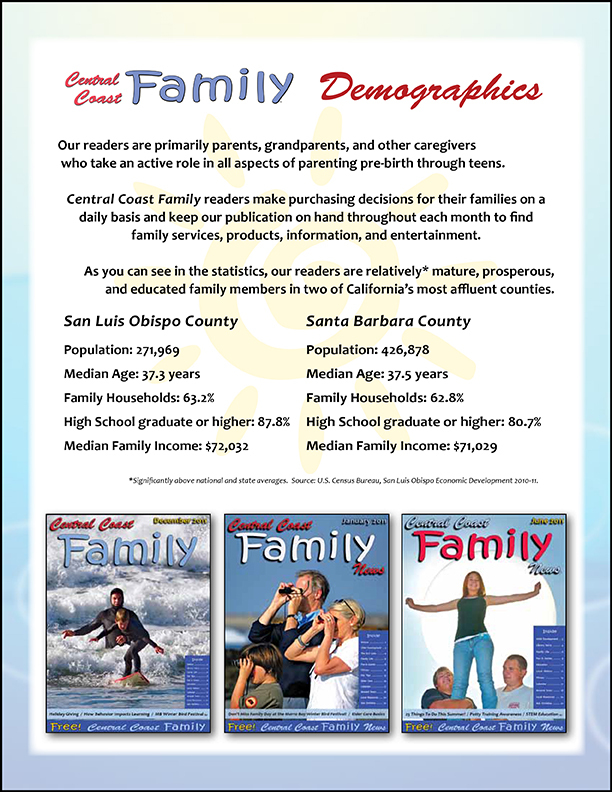 Expanding your presence in the public eye is essential, and advertising in Central Coast Family offers an extraordinary value. In addition to the lowest ad rates in our region, our advertisers enjoy FREE: full color printing; basic graphic design; preferred placement; monthly edits; and website exposure, without contracts! 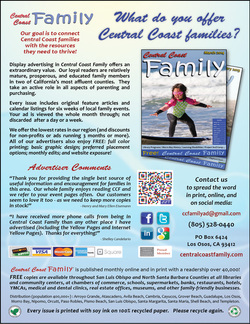 Central Coast Family is the only lifestyle publication produced by local families for (and about) local families. Our loyal readers are relatively mature, prosperous, and educated family members in two of California’s most affluent counties. 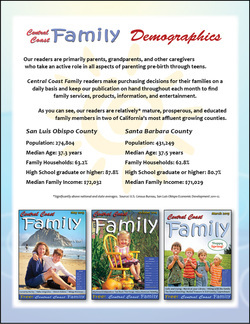 A uniquely useful take-home resource, every issue includes a comprehensive list of local family events and original articles of interest to family members of all ages. Your ad is viewed the whole month through; not discarded after a day or a week. 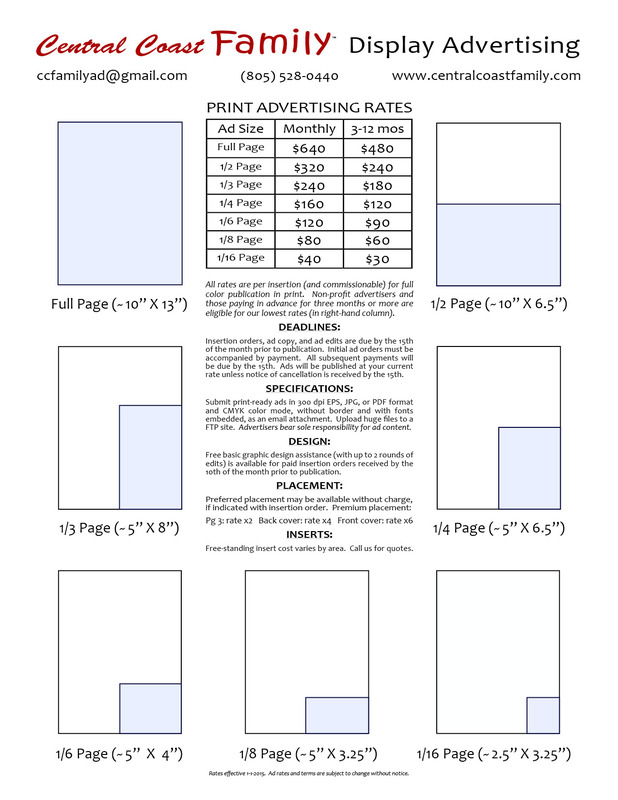 Please contact us to get started, or to inquire about our non-profit rates, inserts, or online advertising.